Everybody needs to get from here to there. All modes of transportation require energy but some are more friendly to the earth than others. There are a wide range of transportation options available today, with technology increasing their availability and performance. 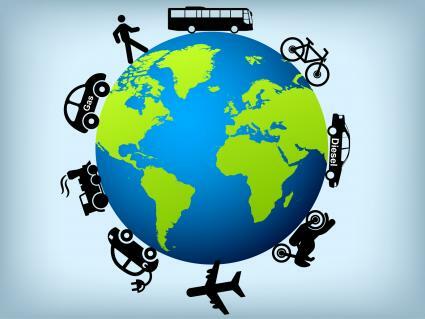 Public transportation is one of the most earth-friendly ways to get somewhere fast. With buses nearly matching the speed of cars and some trains exceeding it, the environmental cost of carrying many people all at once is greatly reduced without a major time loss. Planes, on the other hand, may consume more energy and release more greenhouse gasses into the air than any other form of transportation. Travel by rail within cities or across long distances releases the least amount of greenhouse gasses into the air out of all forms of transportation studied by the International Energy Agency (IEA, p. 52). 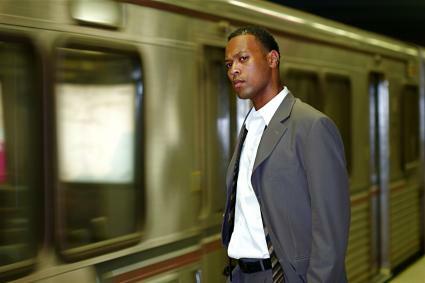 An article in Forbes lauded the modern railroad's efficiency, noting that trains are more efficient than the Prius car. A University of Connecticut article investigated the claim that a train could move 1 ton of cargo 400 miles on one gallon of fuel and found that they were feasible. The U.S. Department of Energy rates intercity rail (from one city to another) and transit rail (subways and commuter rails fall into this category) as the two most efficient forms of transportation. Buses are only slightly more fuel-intensive than trains, according to the IEA's report. However, the US Department of Energy notes that buses are not very efficient at current ridership rates, which are often below 25% of capacity. Don't let that keep you from riding the bus, because every time you step onto one you are increasing its efficiency (because it is transporting more people with the same amount of fuel). According to the International Council on Clean Transportation (ICCT), planes are one of the most fuel-intensive modes of travel. What you may not know is that there is a considerable difference between airlines regarding energy efficiency. The ICCT reports that there is a 26% difference in the efficiency of the most and least efficient US airlines. A list of all US airlines and their fuel efficiency can be found in the ICCT's report, so check it before you book that ticket. Personal transportation is easy and convenient, and in many parts of the U.S., the only means of getting anywhere. Because they are relatively small in size and weight, motorbikes are actually fairly efficient. They are barely more fuel-intensive (per person) than buses, according to the IEA's report. They have the added bonus of being personal transportation, which means you don't have to wait for them at the station and they can take you to an exact location. Unfortunately, motorcycles' two-wheeled nature makes them dangerous: the fatality rate per-mile of motorcycle travel is 27 times greater than that of cars, according to the Insurance Institute of Highway Safety. Cars release nearly four times more emissions than motorcycles, according to the IEA report. Decreased efficiency isn't the only problem, either. Idling time due to traffic congestion caused a wastage of 2.3 billion gallons of fuel in the year 2005, which has only increased since then. That said, cars are one of the most popular modes of transport in the U.S. The country's infrastructure is built for and relies upon automobile traffic, and it's not going away anytime soon. Plus, it's an easy and reliable way to transport you and your family (ever tried taking a family road trip on a motorcycle?). However, there is a middle ground. Car-pooling can increase the efficiency of a car (adding a person in the passenger's seat doubles the efficiency of a trip you would otherwise take alone). For those who treasure the ease, comfort, and accessibility of cars but want to make less of an environmental impact, there are some middle-ground options, though they don't come nearly as close to being earth-friendly as modes like railways. Hybrid and electric cars use electricity (in the case of hybrids, a combination of electricity and gas), which reduces emissions. This is true even factoring in the fact that the electricity they use is usually produced using non-renewable, greenhouse-gas-producing methods. Many hybrids employ energy-efficient technologies such as "regenerative breaking" and "power assist," which further reduce fuel consumption. Hybrids are especially efficient in cities. While hybrids are more efficient for city travel, diesel cars may actually be more efficient for long-distance travel, according to The Telegraph. 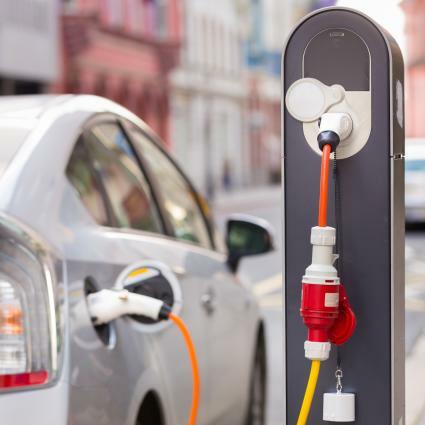 Hybrid cars were "found to be far less efficient [than diesel cars] when accelerating at higher speeds or cruising on motorways," says the article. Biodiesel a fuel made from natural oils and fats, is a renewable and efficient energy source. The US Alternative Fuels Data Center says this of biodiesel: "Biodiesel is a domestically produced, clean-burning, renewable substitute for petroleum diesel. Using biodiesel as a vehicle fuel increases energy security, improves air quality and the environment, and provides safety benefits." While biodiesel may not be as popular as conventional diesel or petroleum, its popularity is increasing. Using your body is the most earth-friendly way to transport yourself, although it may not be practical in many situations. Walking is the original form of human transportation. It worked just fine for millions of years, so it might be worth trying. It takes a long time to get anywhere, but look at the benefits: better health, the opportunity to enjoy what you see along the way, and almost no environmental impact. In some cities, due to traffic, walking may even be faster than driving. Biking is perhaps one of the most simultaneously efficient and earth-friendly modes of transportation, due to its combination of body power and engineering. Costing little more to the environment than the materials required to produce a bicycle (plus a new set of tires every now and then), it gets you to where you need to be at a surprising rate of speed. 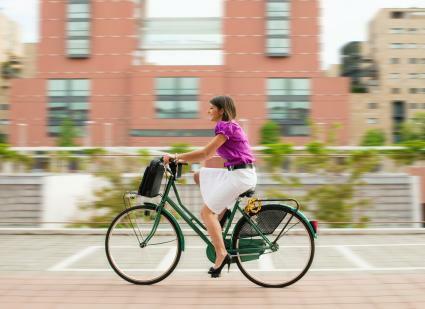 Not surprisingly, biking is also much more energy-efficient than travel by foot. Pros: One of the fastest body-powered modes of transportation, can go long distances when desired, toned thighs, and almost no environmental impact. Cons: Takes longer than motorized transportation, roads aren't always bike-friendly, possible injury, difficult in bad weather or cold winters. Some cities around the world are investing in new, highly efficient transportation technologies. New Delhi invested in a modern metro system in which regenerative braking technology reduces its energy consumption by 30%. European aircraft manufacturers are experimenting with a technology that uses hydrogen fuel cells to power airplanes instead of fossil fuels. In Dublin, smartphones and tablets are used to increase traffic efficiency by using an integrated system of information sharing. Stockholm, Sweden, has created an infrastructure that is friendly to sustainable modes of transportation. The result? Ninety-three percent of residents "walk, bike, or take public transportation to work." Scientists around the world are developing technology to create self-driving cars, which would reduce greenhouse gas emissions. Whether or not any new technology is appearing in your area (and if it is, whether it's affordable), be on the lookout. Chances are it will be there soon. The way you choose to get from here to there has a direct effect on the environment. While you may not always be able to choose the ideal mode of transportation, you may be able to make changes that reduce your impact on the environment. Remember that there are many other things you can do to protect the environment, too.